I haven’t written a sub for quite a while and thought this would be the best time to write another. The misses and I have always wanted to explore Laos. There’s not a lot written about the country nor its tourism industry. Prior to this trip me and the misses tried to read up on what was to be expected as a tourist but found the information to either be misleading or no info at all. 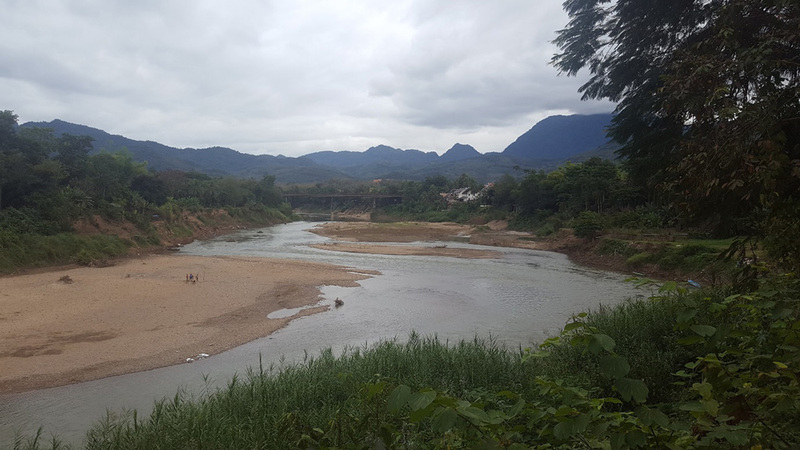 We also asked a few people who had gone to Laos including the man himself – Stick – and found some of the information true and some info to be totally the opposite of what was said. Because of this, I thought I’d write a submission on our trip and people can take from this what they want. This is a trip report my misses and I took in late December and early January. We spent a week in the country and visited Vientiane and Luang Prabang. We discovered a hidden gem and I thought I’d put something together because the country really is a fantastic tourist spot! Just of note, this isn’t an updated report on the red-light areas of Thailand, so if you’re looking for that sort of thing; you may as well stop reading now. The misses’ ancestors came from Laos on her mum’s side of the family and she always thought she wanted to go there to visit and see what the country is like. Her family came from a middle-class background and left before the communists took over (many can relate to this situation including myself from Eastern Europe). The country is still one of the few in the world under a communist government system and one can only go as far as the border with the red and yellow communist flag being waved even before you cross the Mekong River. We started the journey by leaving my misses’ condo in Bangkok on our way into Isaan. We left early morning to head towards Surin. The GPS said it would be a 6-hour drive, but given it was a few days before the New Year the traffic was a nightmare! It took us more like 8 hours +. 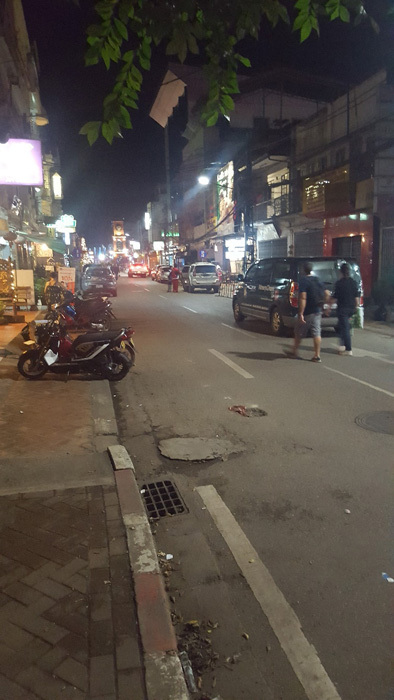 We stopped for the night in Surin where I met up with an old colleague I used to work with in Australia. Life in the provinces does seem a lot more laid back and I can see why so many Farangs teach English to see their twilight years of employment out. We had accommodation booked at what can be described in Western standards as a ‘motor inn’. If anyone in the Surin area wants a recommendation – Paradise Resort is definitely worthy! Once on our way from Surin the next morning, we finally made it to Nong Khai that evening. Once again, some few hours more than what the GPS stated it would take us. 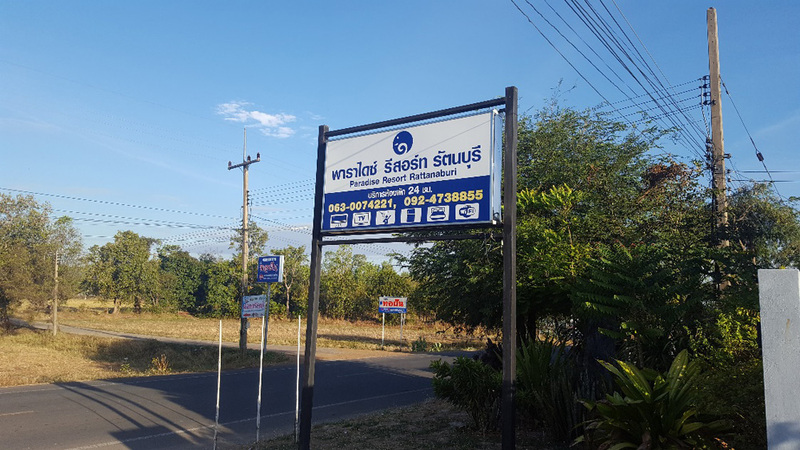 In Nong Khai, if you’re planning to leave your car in Thailand before you cross the border, there is a long-term car park to the left of this sign (pic below) just prior to the Thai Immigration site where you can leave your car securely for 100 baht per day. 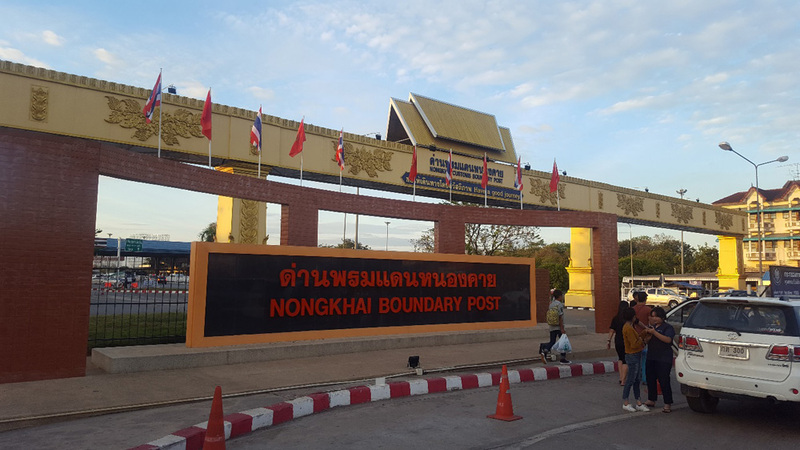 Nong khai border post. Immigration point is further past this. Above photo taken from the carpark looking at the Thai border in the distance. Once the car was left in the carpark, this is where I found it a little complicated. I should note that this was my first time crossing in to any country via a land border. Just past this border post is the Thai Immigration centre where you stamp your passport out of the country. 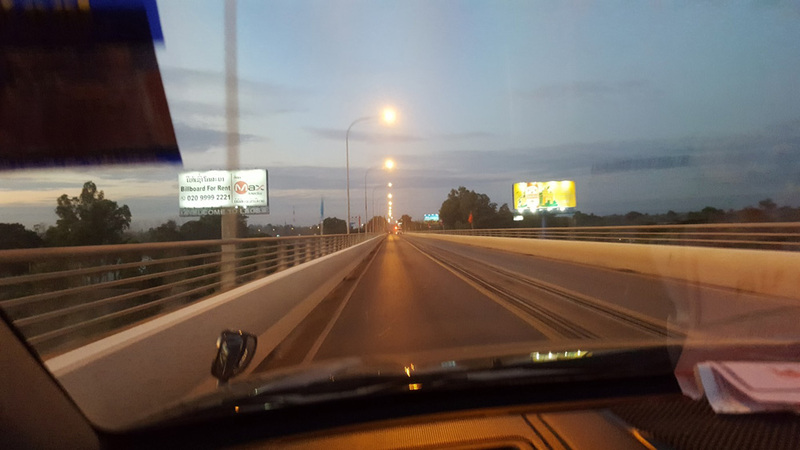 You then get in to another taxi service car where a Thai driver will then drive you through the Thai Immigration point and over the bridge crossing the Mekong river. Once you cross this bridge, you will come to the Immigration entry point of Laos where you apply for a Visa into Laos at the cost of 1,500 baht (Farang price). <It’s best to pay in US currency as the official price is $35. 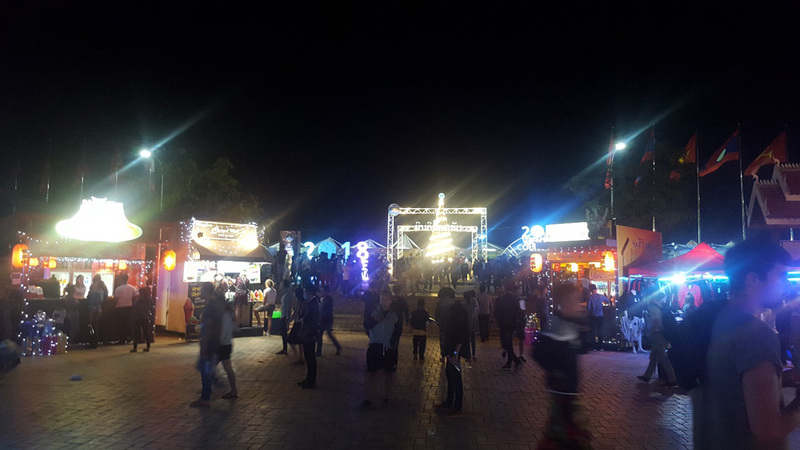 Pay in baht and they sting you for 1,500 baht which is about 30% more – Stick> My misses paid 500 baht with a Thai passport. 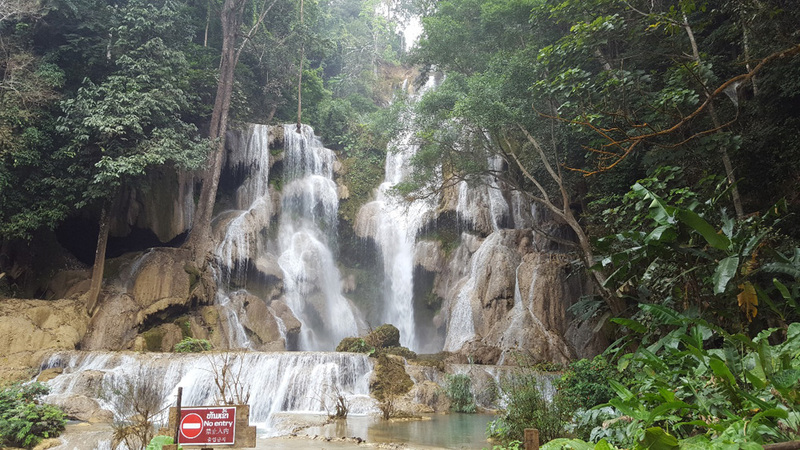 My first impressions of Laos? Very run down and under-developed. Reminded me a lot of my Vietnamese trip 10 years ago. The communist factor was definitely a resemblance to Vietnam with the propaganda portrayed every now and again. 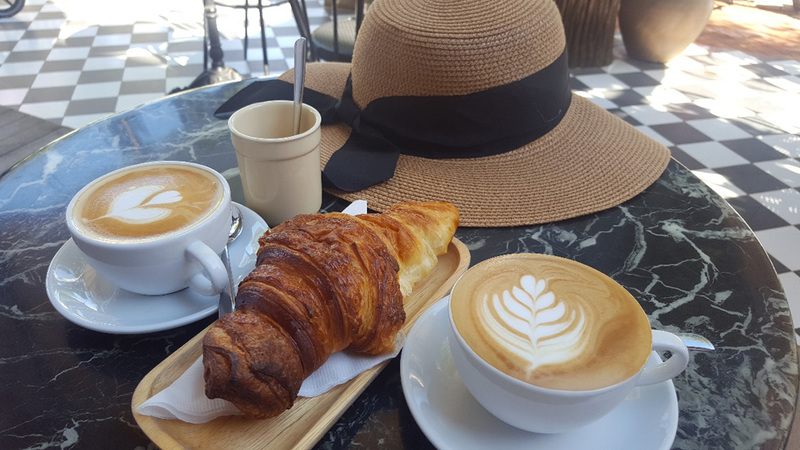 Things were cheaper overall and I loved the French connection with the croissants, coffee and western food available everywhere for reasonably low-cost but of high quality. 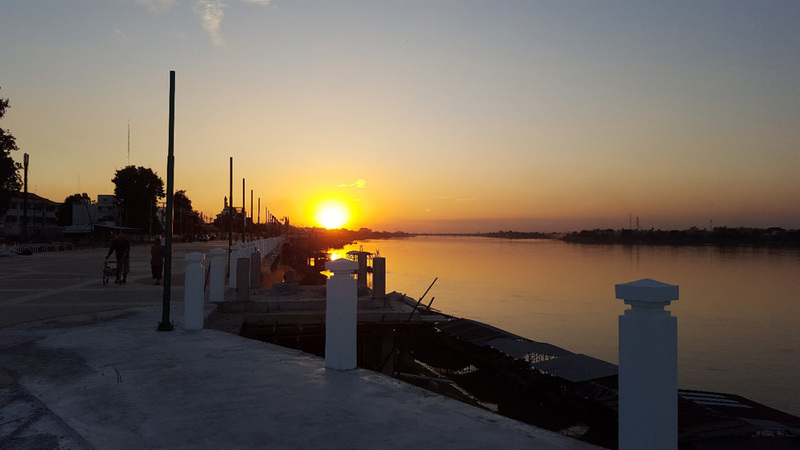 Vientiane is definitely a laid back capital city but that makes it all the more attractive. The language. Lao is different to Thai. I can read Thai and looking at the script it seems they use many of the Thai script with a few exceptions. The language however is a different story. It is different to Thai and my misses can understand very little watching TV or listening to the locals. Most of the locals do speak Thai. I’d be guessing for obvious reasons that it’s their big sister country next door. My misses had very little trouble communicating with the locals in Thai. It was extremely rare when we came across someone who couldn’t speak Thai and in that case many did speak a little English. We spent 2 nights in Vientiane which was enough to unwind and relax although I could do with another night. Vientiane is very laid back for a capital city. Actually, many of Isaan’s cities are bigger than Vientiane. Most of the city is within a few streets from each other and easy to walk around. If a taxi is required, the price will usually set you back about 20,000 Kip via a tuktuk. Now at this point I must mention the exchange rate, at a good exchange we were getting 6,300 Kip to the Aussie $ and 252 Kip to 1 baht. (Felt like the Vietnam days where 1,000,000 dong wasn’t worth much at all.) Most vendors have Thai baht or US dollars but they always give change in Kip so we thought it best to simply exchange all our money to Kip. Besides, it’s their country; we should use their money. Many people have said that Vientiane is so laid back it almost gets to the point of being boring and could be avoided. I found it to be the opposite. Laid back, yes. Boring? Definitely didn’t find it boring. We filled in 2 days quite comfortably and could have done with a third. 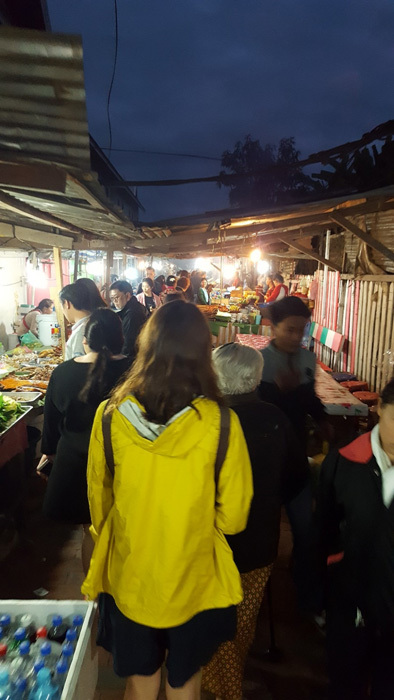 The night market was great and is set up every night along the Mekong river. Most of the items sold, especially the clothes, could be bought in Thailand but the Laos trinkets and souvenirs are unique so always nice buying that common fridge magnet and the like there. There are other specialty items which are unique to Laos such as the coffee and Laos whisky which is ridiculously cheap! (More on that later.) And as we all know, Beer Lao is sold everywhere! Another place we visited was the COPE museum. The museum gives a background on the landmines dropped around the time of the Vietnam War and how some of these mines haven’t exploded yet causing some catastrophic results for the locals. Unfortunately many people become victims of these mines, even today. This is a similar situation in Cambodia. 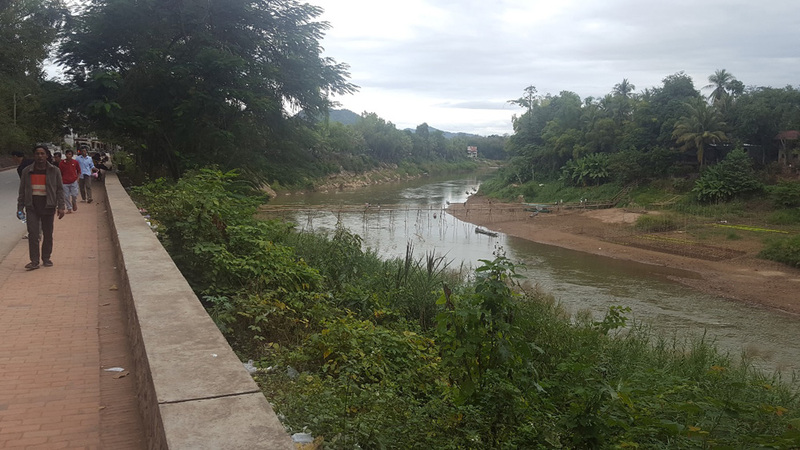 It seems like there’s still a large portion of the eastern side of Laos near the Vietnam border which is still deemed as unsafe to walk across due to these unexploded mines. 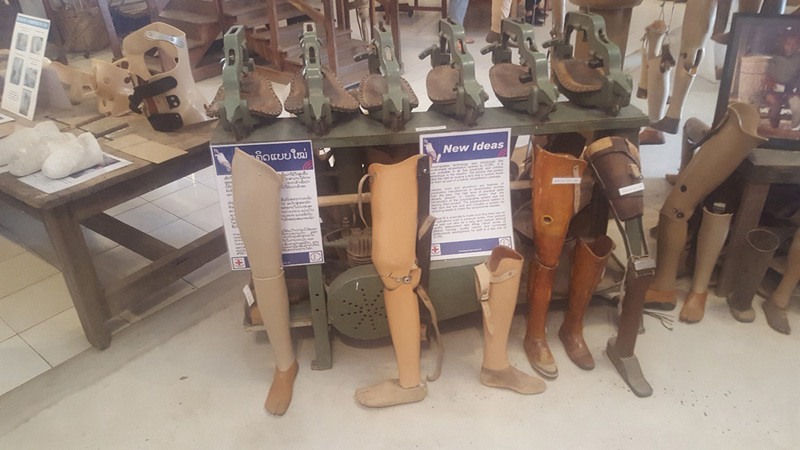 I highly recommend visiting this unique museum which shows the great work doctors and volunteers are doing from all around the world in order to create prosthetic limbs for these unfortunate people who had the unpleasant experience of coming into contact with these mines. Some really inspiring work done by some great people and so pleasing and at the same time sad to see. After 2 nights, we flew into Luang Prabang. Now, flying into the country of Laos can be pricey, but domestic travel is ridiculously cheap. I’d highly recommend flying domestically rather than take a 12-hour bus ride from Vientiane up to Luang Prabang. The roads are that bad…! City roads are drivable but once you get out of the city areas, the roads are full of potholes. The roads are plagued with pot holes and it takes a long time to cover a small distance as the driver will always have to slow down and drive around these obstacles and at the same time manoeuvring oncoming traffic. We spent 4 nights in Luang Prabang and stayed at 2 hotels (we originally only booked for 2 nights so had to extend our stay at another hotel). Both the Oasis Villa Hotel and the Sakaodeuan Hotel (the second is more of a guesthouse) are exceptionally great value for money and highly recommended with great hospitality management. 1. Boat riding along the Mekong. They have river cruises and it’s a nice way to watch the sunset (though the day we went was overcast and we didn’t see much of a sunset – LOL.) Nevertheless, it was a great evening spent outdoors with the fresh air. If you are doing it in the evening, I highly recommend to bring a jumper or even a jacket. At this time of year it’s cool, and on a boat ride with the wind blowing at you I was cold with a jacket! Yes, it does get that cold. 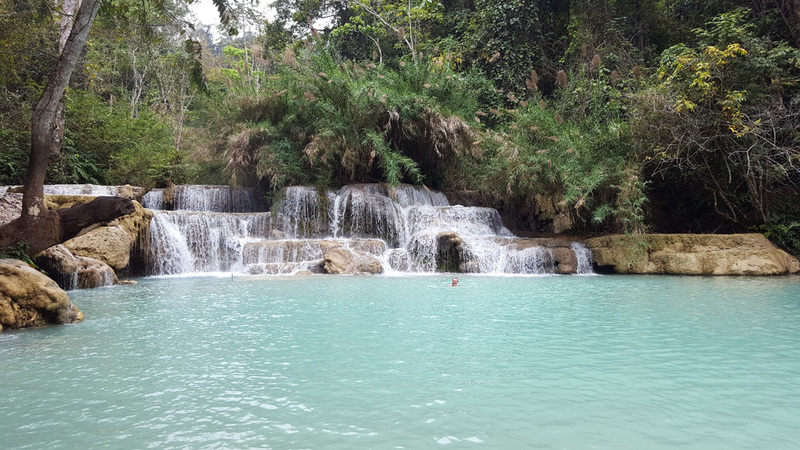 Keep in mind that Luang Prabang is on about the same latitude as Hanoi and Hanoi does have cool days during this time of year. We were lucky enough to get front row seats…literally! 2. Bamboo village. Have been told it’s highly recommended but we ran out of time to visit this place so I cannot comment. 3. Massage. Now here is where it gets interesting. I had a foot massage in central Luang Prabang which was more expensive than a Thai massage! Yes, if you convert the currency from Kip, you’ll realise you’re actually paying more than in Thailand for a massage. This was one item I found more expensive than in Thailand. Highly enjoyed it but my misses wasn’t impressed by her Thai massage she got. Most places charge between 60,000 – 80,000 kip for a 1 hour massage. 4. Biking. With the traffic slow-moving I’d recommend biking. A nice way to visit the city at your own pace. Unfortunately very few places do offer helmets which I found a concern, but as I mentioned with the very slow traffic it becomes ‘reasonably’ safe. I did the bike riding but was extremely cautious as I myself get nervous riding a bike with a helmet in Asia, let alone without! 5. Night market. This is set up every night at about 6 PM in the central street of Luang Prabang. We went almost every night and it was actually impossible for either of us to NOT buy something no matter how many times we passed through it on our way back to our hotel. Some unique things I thought we’re worthy are the Laotian trinkets, the Lao coffee and Lao alcohol. Most of the alcohol comes from the local Luang Prabang distillery and is ridiculously cheap. I’ve heard that Laotian alcohol is one of the cheapest in the world and I believe it. A 750 ml bottle of Lao whisky from a convenience store sets you back around $3.5 AUD. No that’s not a misprint. Though, don’t be surprised when you struggle to drink it. Quality not the best as the term ‘you get what you pay for’ sounds about right in this case. Not to go on a tangent, but the local distillery is another item on your tourist things to do. Me not being a big drinker and other things to do in our time, I didn’t get to the local distillery. A great excuse to make another trip! Night market highly recommended. 6. Tribes – There are a few tribes which live remotely around the city and in their own traditional way. Unfortunately never got to see this as we ran out of time. 8. Waterfalls. 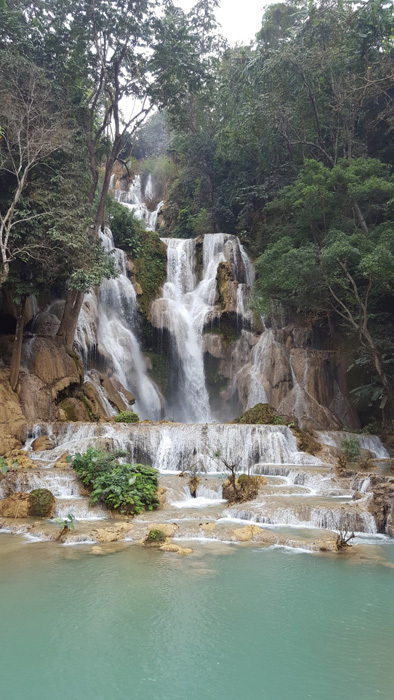 The waterfalls are about a 45 minute drive out of Luang Prabang. This was probably my highlight! When you drive to get there, you will understand what I mean about country roads. Some are in serious need of repair and would make the journey on proper roads probably take half the time. However in the end it’s well worth the rocky drive. The waterfalls were absolutely sensational! Coming around Christmas time when the air is a little cooler there still weren’t any people short of jumping in the falls for a swim. I bit the bullet and jumped in myself and loved the fresh swim! I thought, what the hell. When is the next opportunity going to come again? I’d recommend to bring your swimming gear just in case. It may be cool outside but the water is fresh and comfortable. It was a little sad waking up the next morning and leaving this really unexplored land. We slowly made our way to Luang Prabang airport where we caught the return flight to Vientiane. 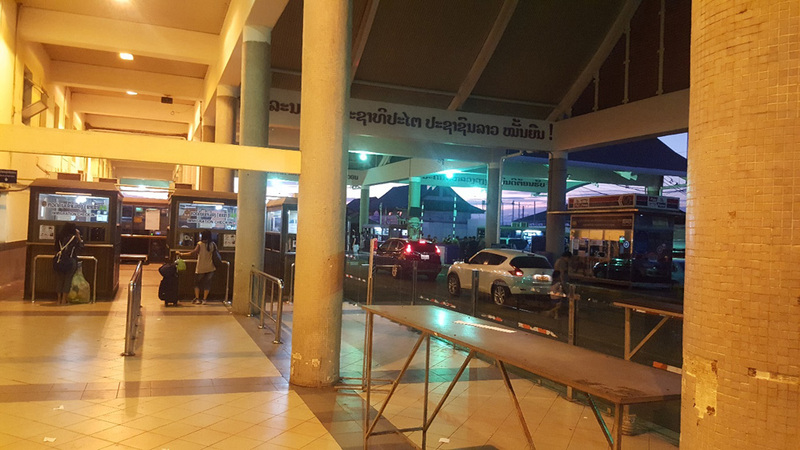 From Vientiane airport we then asked a local taxi to drive us to the border crossing. Can’t remember how much we paid but it was nowhere near the 800 baht we paid to get into Vientiane. I knew we had gotten ripped off on our first night…. But all part of the experience. 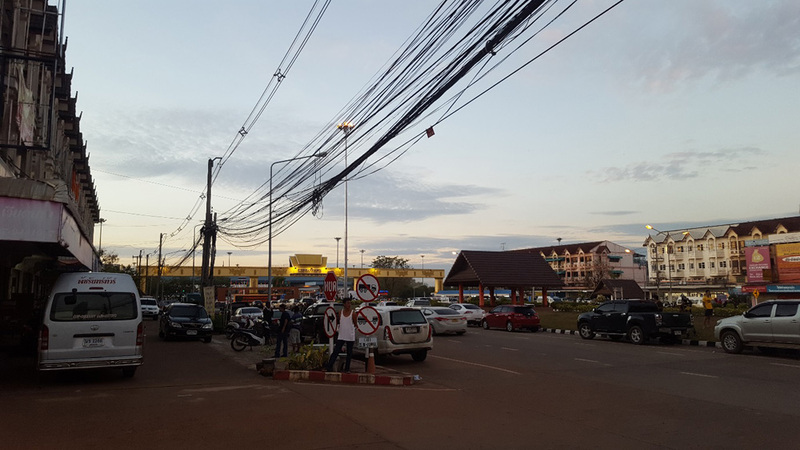 Back into Thailand, our car was waiting in the same location in the long-term carpark in Nong Khai. You could go really cheap and leave your car on the street but there’s no guarantee it will be there when you return…. We spent the night in Nong Khai before heading towards Korat. You could drive all the way from Nong Khai to Bangkok but at this time of year with the traffic you’re looking at a 12-hour drive and that to us was too exhausting so we decided to split the drive across 2 days. Besides, what’s a holiday if its rush rush all the time? I thought it was a great holiday. Far exceeded my expectations. We will definitely be back. Perhaps Vang Vien next time. I heard it’s full of young hipsters/ young people which party all night and we wouldn’t like it but I’m not going to take anyone’s word for it and plan another trip in the future. Overall, the country has a lot going for it. Speaking to a few of the Farangs which travelled to Luang Prabang they said it’s developed quite considerably over just the last 5 years. Only God knows what it will be like in the next 5 to 10. That I guess can’t be bad for the locals as, unlike its neighbours, I can’t see much else what contributes to its GDP besides its tourism sector. It’s not for example like Thailand where although its tourism is booming, there are other industries which make up most of its GDP. Laos seems to make very few items. Beer Lao, alcohol, cigarettes, perhaps a little textile industry and rice is as far as I can see what they actually manufacture. We noticed that everything seems to come from everywhere else. TV stations mainly come from Isaan or its other neighbours; Vietnam and China. Most of its Asian food such as noodles comes from Thailand. All its infrastructure items seem like are manufactured in China or Vietnam. The banks come from Vietnam and Thailand. (I did not see one local bank). If you were a real entrepreneur, I’d suggest to perhaps start up a few factories. Literally, there’s none there! Labour would be cheap and you wouldn’t have any competition. I wonder why other corporations aren’t doing this. I know Vietnam has a lot. There must be a reason for this. There are soldiers on the streets in many places but they are harmless. Many are nice when you need directions. They are dressed in a similar outfit to the North Koreans….. it’s like they all adopted an outfit from the 1950’s and never changed the uniform. 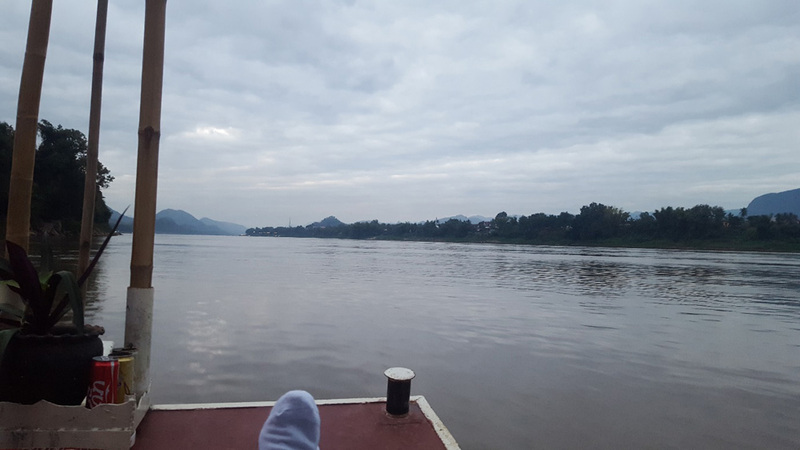 The other item which surprised me is that the Mekong river is so close and unguarded and is the only thing which separates Laos and Thailand, that why there isn’t many Laotians jumping ship into Thailand? Obviously illegally but Thailand even though it’s third world offers so much more in terms of standard of living. Perhaps this is happening like the cheap labour Burma brings into Thailand… not sure. I do hope you have gained something from reading this and it has helped you in some way if you’re travelling to Laos. On a final note, I do hope the section on readers submissions continues. Always nice to hear the odd story from Phet, Mega, Steve Rosse and the like which all make for an enjoyable read. Vientiane seems to polarise Thailand-based expats who go for a visit. Some love it for its peace and tranquility while others hate it for exactly the same reason. Count me amongst those who like the place. I’d really like to find a nice hotel and stay there for a week or so – I really think that would make a for a very pleasant and relaxing time.